Music boxes, jewelry boxes, and snowglobes make a beautiful gift at any age. At Music Box Attic, you can choose a gift that reflects the personality of the recipient. Choose from a traditional Sorrento Music Box that plays “Let Me Call You Sweetheart” to a modern Elvis Presley globe that plays “Heartbreak Hotel.” Music boxes with your choice of music are a great way to say “I Love You,” “Congratulations,” “Merry Christmas,” and more. Sunshine Rewards is fortunate to be giving away a Disney-themed globe from Music Box Attic. The winner will get to choose from: Disney Musical Waterglobe Featuring Sleeping Beauty, Stunning Snow White Musical Goose Egg with Detailed Bead Work, Disney Musical Waterglobe Featuring Jasmine, or Snow White’s Dance Musical Figurine (featuring “Someday My Prince Will Come”). Enter the contest below by June 5, 2012, at 12:01am Eastern. Must be age 18 or older and a U.S. resident to participate. In addition, be sure to visit Sunshine Rewards for the latest Music Box Attic coupons and cash back. Sleeping Beauty because it would make my niece’s day! Probably Sleeping Beauty, but they all sound like great options! Snow White’s dance but any would be great…I just LOVE ANYTHING Disney!!!!! I love snow globes and would love to add this to my collection. Jasmine would be be preference. What a wonderful opportunity! 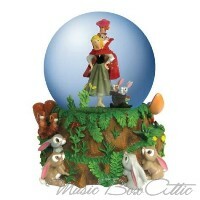 I’d choose the Snow White’s Dance Musical Figurine (featuring “Someday My Prince Will Come”). I just finished watching Once Upon A time and Snow and Charming finally remembered each other after the spell was broken (aw!) so this reminds me of that. Love that show! I love the contest at Sunshine rewards! Thanks for keeping it so fun! This is a fantastic contest. I would love Snow White’s Dance Musical Figurine (featuring “Someday My Prince Will Come”). i would love jasmine because i named my daughter jasmine! I think I’d choose snow white’s dance because I just love “someday my prince will come”. Reminds me of going to the saturday disney matinee on a rainy saturday afternoon when I was young! Definitely the Snow White musical egg, it’s beautiful! I’m thinking Jasmine! My fiance and I sing A Whole New World together all the time! If I had to pick today, it would be the Disney Musical Waterglobe Featuring Jasmine as I just returned from Disneyland and was awed their Aladdin show. I would choose the Sleeping Beauty snowglobe. I have had an attachment to this story since I was very young so I am drawn to this choice over Snow White. I’d pick Sleeping Beauty or daning Snow White. They are all pretty. Any Snow White snow globe. She’s my favorite Disney Princess, and Snow White and the Seven Dwarfs is my all time favorite Disney movie. What a lovely Disney contest, just one of the great things at sunshine rewards. If I picked today it would probably be Snow White’s Dance Musical Figurine (featuring “Someday My Prince Will Come”), but never know. If I would would have to get the kids to look and help me pick, since they would see it everyday on the mantel. I’d pick Jasmine. I’m a Disney snowglobe collector and I realized recently that I don’t have any with Jasmine. Any snowglobe would be wonderful:):)!! My daughter would be happy with any of them, but probably would choose Sleeping Beauty.